While the video makes a mention of this campaign's purpose, it's easy to browse the Indiegogo page and get the impression that the YotaPhone 2 isn't yet a thing. Well, it is. The dual-screen AMOLED and e-ink device expanded from its native Russia to European markets at the end of last year. It comes with a 5-inch Full HD AMOLED screen, a 4.7-inch 960x540 E Ink one on the back, a Snapdragon 801 processor, 2GB of RAM, 32GB of storage, and an 8MP rear camera. 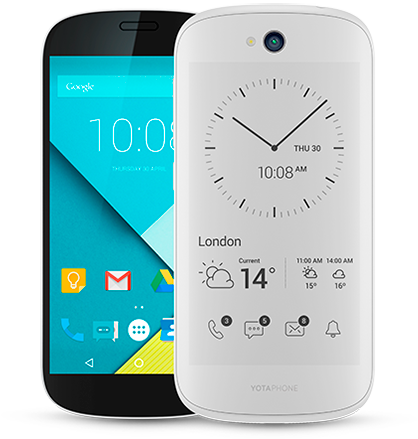 The phone comes in black or white, and it received Lollipop just this month. Here's the thing, phones aren't just going out to people in North America. 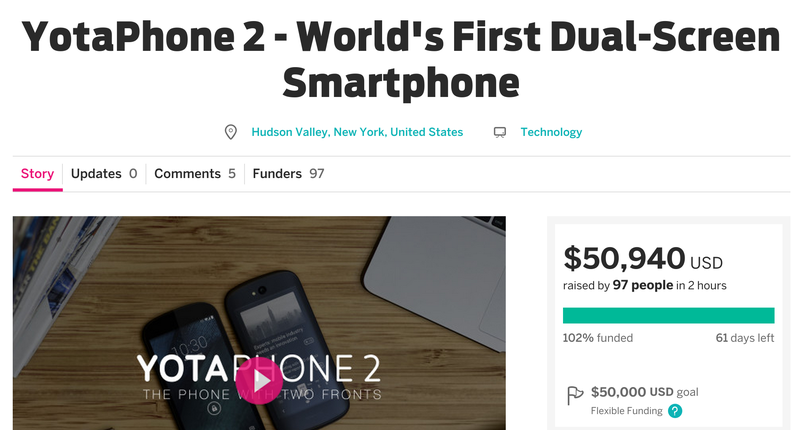 The Indiegogo page shows Yota willing to ship the device to just about anywhere, including the uninhabited Heard Island and McDonald Islands. Units start at $500 and are set to arrive sometime in August. General distaste for crowd-funding hardware, especially existing hardware, aside—the YotaPhone 2 remains an exciting and innovative piece of tech. I'm not going to throw my money at the thing, but if you want to, I can understand.